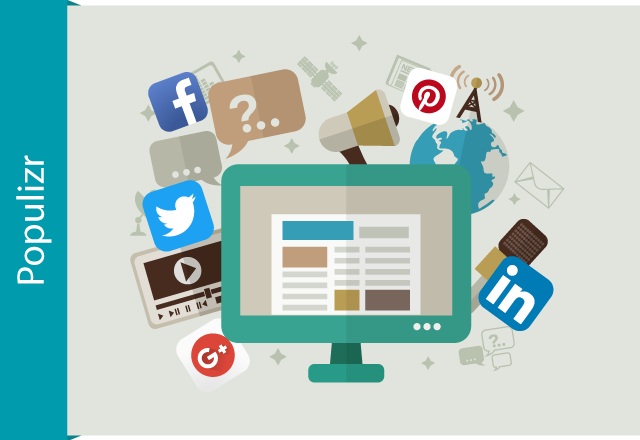 Posting once a day on your social media networks will definitely bring you some engagement, traffic, and shares. True. But, wouldn’t scheduling 2 or 3 social media updates per day get you bigger results? What about 4 social media updates daily? How many social media updates you should be scheduling on a daily basis? How Often Populizr Shares On Your Social Media Networks? Standard posting scheduler. Your posts will be scheduled for a duration of one month. Evergreen posting scheduler. With this scheduler, your posts will be scheduled for one whole year. Since you know when your targeted audience is most engaged online, you can choose the right timings and frequencies for each of your social networks. Three or more. While some are claiming that the engagement is dropping off after the third tweet, others are suggesting way more tweets per day. While three is a magic number for someone, others think that the more you tweet the better. At the end of the day, the ideal number of daily tweets depends on your marketing goals. So, if you want to optimize your engagement per tweet, 1-5 tweets a day will help you achieve this. If you have at least 10.000 Facebook followers, then posting twice a day is the way to increase your likes, shares, and comments on your social content. But, what if you only have 2000 or 200 followers? Does then this ‘two posts a day’ rule applies? The answer is a little complicated. Either way, you need to make a choice whether you want more clicks or engagement per post. Anyway, most experts are agreeing that after two posts a day, your likes, shares, and comments are reducing. So, if you have engaging unique content ready, you can post 2-3 times per day. If you want to get more optimal traffic on Pinterest, you should be posting 3 to 5 times a day. Some studies have shown that successful brands that are posting multiple times a day are getting better engagement. One important thing you should know about Pinterest is that even if you are posting multiple times per day, your engagement won’t grow if you are not optimizing your images. On Google Plus, more is more. The more often you are posting, the more engagement you get. Here, brands are often seeing a positive connection between posting frequency and engagement. 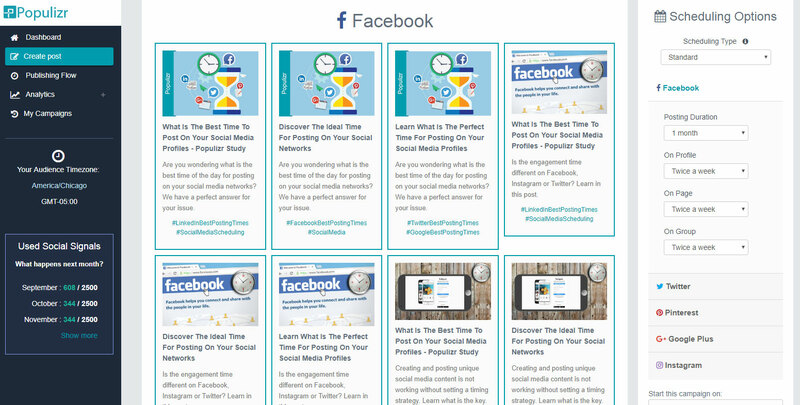 If you increase your posting frequency, your engagement percentage will also increase and vice versa, if you reduce your posting frequency, your engagement percentage will reduce. So, if you already have unique social content, posting 3 times a day will increase your engagement on Google Plus. According to LinkedIn, posting once a day on their social media platform will definitely help you in reaching 60% of your audience. Since the best posting time on LinkedIn is during business hours, you should post only on weekdays. This equals to 20 posts per month. The data above is based only on past brand experiences on social media channels. You will need to learn from your set of metrics after following your performance a couple of months. So, don’t try changing your posting frequency overnight. All social media networks are different. All brands are different. Every posting frequency pattern needs to be different.